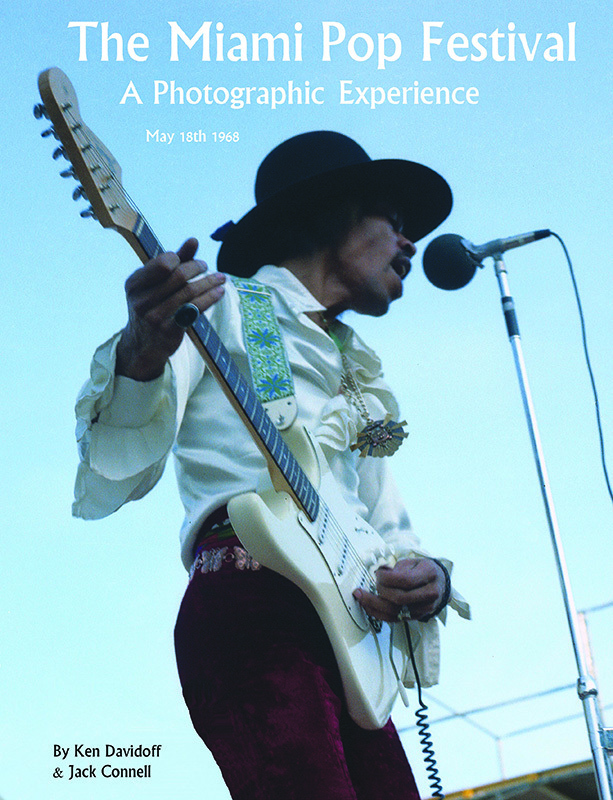 The 61 page MPF book is a BEAUTIFUL coffee table item, 8.5"x11"containing 40 photos and 17 interviews, it makes for a very entertaining book. The book, and the canvas print are shipped in cardboard, wrap it and they ‘re ready to go. the Official Oldrockphoto Miami Pop Festival poster. 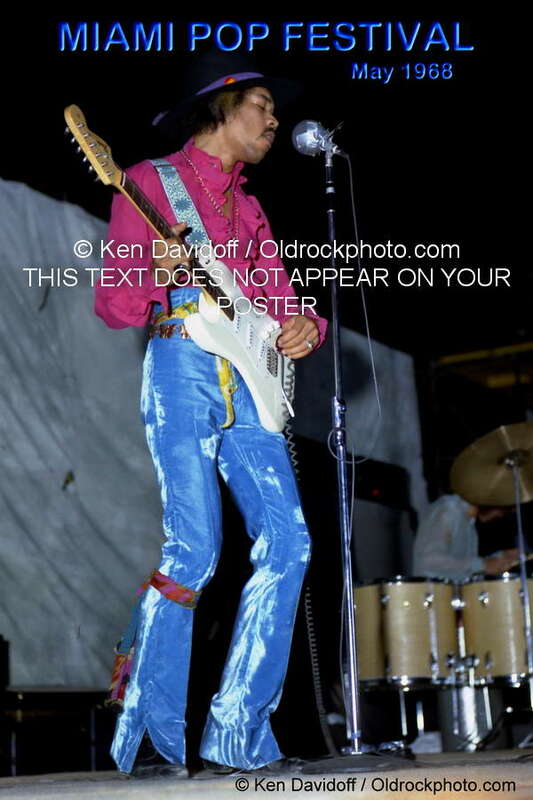 12x18 on 100 lb coated stock.This Jimi Hendrix image taken by Ken Davidoff at May 18th,1968 Miami Pop Festival during the evening performance, super sharp and brilliant color. Created in 2015, an Original first production run. We are offering this poster in the USA for $20.00 plus $4.99 S&H. Shipped in a protective heavy cardboard tube. Allow 7-10 days. Order through Pay Pal only. 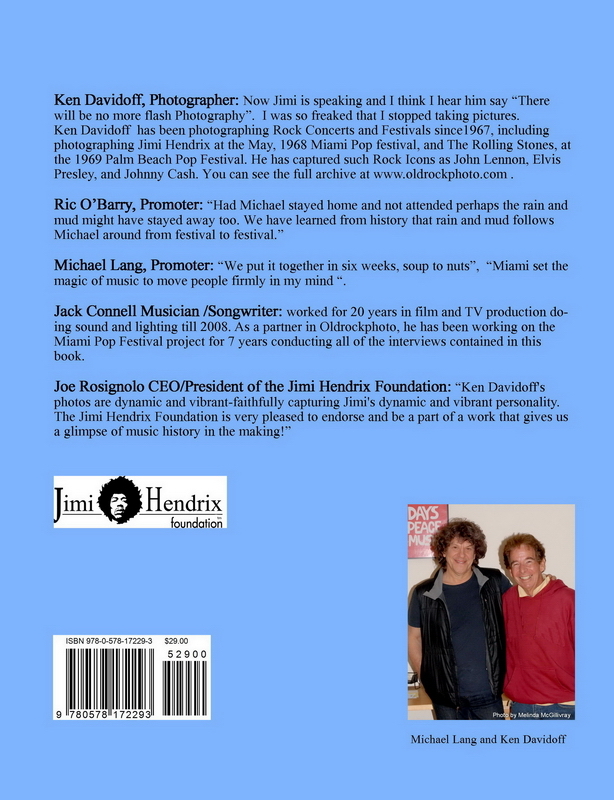 Oldrockphoto is proud to release its newest product, The 1968 Miami Pop Festival, First Edition Poster. 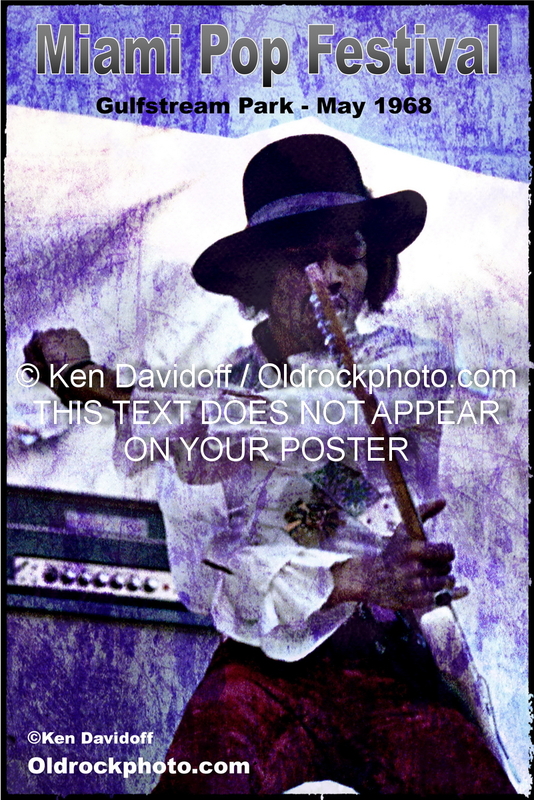 This ICONIC Jimi Hendrix image is one of photographer Ken Davidoff’s most recognizable. It is one of only two ALBUM COVER SHOTS used by Sony Music. This one was for the single release, “Fire / Foxy Lady”. On 100 lb. 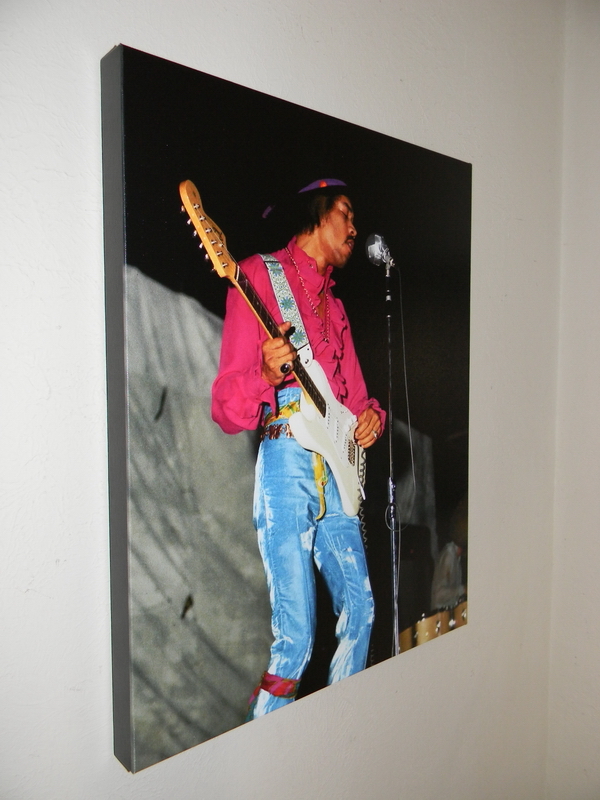 Cougar cover stock, this 12x 18 vivid color photograph has been turned into ART, and commemorates the first multi-day Rock festival on the East Coast of the United States. This is Ken’s FIRST Photo/Art Poster, and a GREAT way to add to your Miami Pop Festival collection. Created in 2016, an Original first production run. We are offering this poster in the USA for $20.00 plus $4.99 S&H. Shipped in a protective heavy cardboard tube. Allow 7-10 days. Order through Pay Pal only.